How good is Sagittarius at keeping secrets?  Can You Confide In Sagittarius? Find Out Below! You know how to keep your mouth shut when you need to keep things secret. But it is only true when the secrets are yours. Whenever you come across an interesting piece of private info, you let the cat out of the bag almost immediately – just for the sake of entertaining our friends with a fun story. This is why you sometimes would prefer not to have been told in the first place. However, since you know the mechanism that needs to be at work, your friends can still confide in you, only they need to put an emphasis on how important it is not to spill the beans. They should probably repeat that request a couple of times to make sure you that you remember and remind you about it from time to time afterward. The rule is simple: the more important a secret is the more likely you are to keep it.